The taste of prickly pear in a drink! True Nopal is a refreshing beverage made form the fruit of the prickly pear cactus. The people of the Sonoran Desert discovered that after carefully removing the spines and skins of the nopales (prickly pears), the soft inside flesh could be eaten or juiced to provide a nutritious food that can help reduce inflammation associated with muscle fatigue and exercise and help lower blood glucose levels. 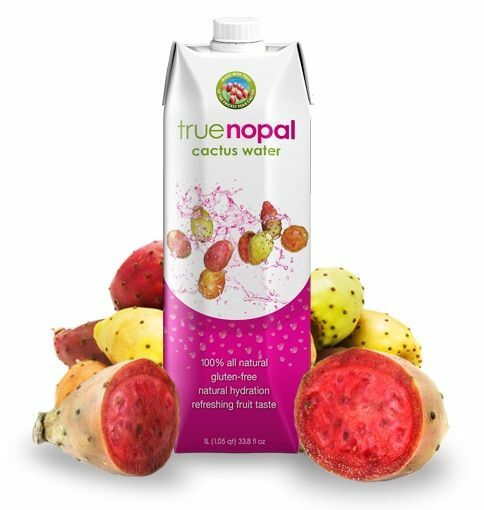 True Nopal is 100% natural and made with only water, prickly pear concentrate, and natural flavors. There are no added sugars, no fat, no cholesterol, and no GMOs. It looks a little like cranberry juice but has a very mild fruity, almost dragon fruit flavor to it. True Nopal is the safe way to drink from a cactus!